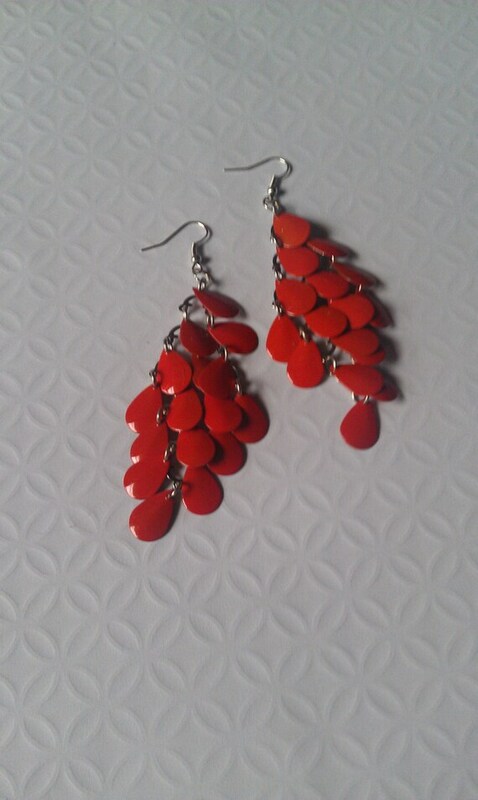 Perfect for summer and even into the fall season, these are bright and colorful burnt orange Chandelier dangle earrings. These earrings fall appx. 3" long. Ships first class mail via USPS within 1-3 business days of receiving payment.